Team Suzuki Press Office – July 25. 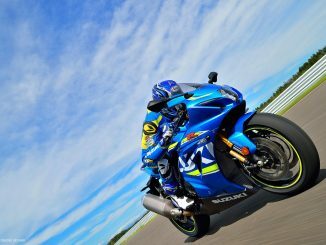 The 2018 Endurance World Championship finale takes place at the Suzuka Circuit in Japan this weekend for the fifth round of the series, and Suzuki teams will be out in force aiming for the top-step of the podium in this iconic event. Always considered the highlight, and one of the most-challenging on the EWC calendar because of the heat, the intensity of racing, plus the high energy-sapping humidity, the 41st Coca-Cola Suzuka 8 Hours race on Sunday July 29th features some of the strongest Suzuki GSX-R1000-mounted teams and riders in history. This weekend, 15-time Endurance World Champions, Suzuki Endurance Racing Team #2 – Vincent Philippe, Etienne Masson and Gregg Black – are among nine strong Suzuki teams aiming to top the podium against a total of 64 teams. The last time SERT won the event was in 1983, but the team, who has spent all season developing the new GSX-R1000 Suzuki is aiming to improve its position of seventh in the EWC standings. Other strong teams include #12 Yoshimura Suzuki Motul Racing with Suzuki MotoGP Test Team riders Sylvain Guintoli and Takuya Tsuda, #71 Team Kagayama USA (Yukio Kagayama, Naomichi Uramoto and Joe Roberts) in the team managed by former Suzuki World 500 GP Champion Kevin Schwantz, #9 MotoMap Supply (Yoshihiro Konno, Josh Waters and Nobuatsu Aoki) plus #95 Pulse Dream Racing and #31 Hamamatsu Team Titan. Initial practice and set-up begins at the Japanese track tomorrow for the first free practice at 13:00hrs local time.